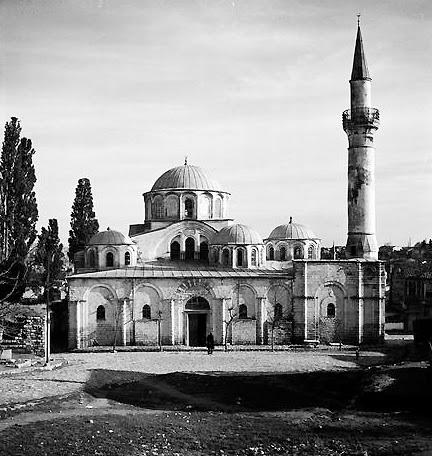 Black and white photo from the era Chora Church were using as masque. 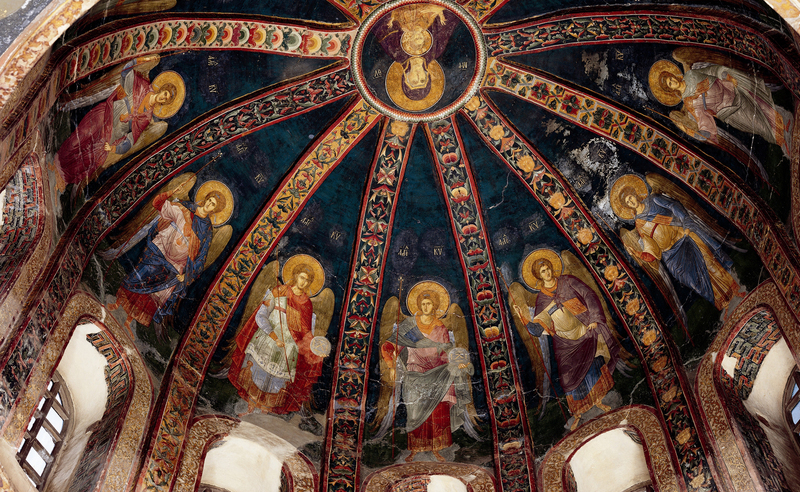 Chora Museum opens in 7 days a week till further notice. 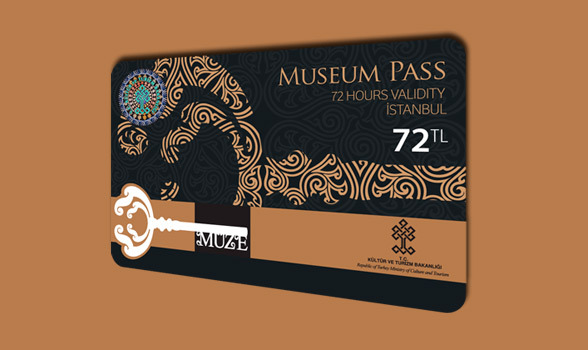 Museum will be open inbetween 9 am to 7 pm in everyday. On my last trip, though, I booked a brilliant new holiday rental that offers a completely different way to discover this fascinating city, the chance to experience a genuine slice-of-local-life where there isn’t another tourist in sight. Verystanbul is hidden away on the shores of the Golden Horn, in the district of Fener, the historic home of a large Greek and Jewish population, just by the original city walls that date back to Istanbul’s origins as Byzantium and Constantinople. This charming two-room self-catering holiday home – you can rent one room or both – spreads over a three-storey traditional Greek house, newly renovated with a colourful bow-windowed facade and cool designer interiors, where guests have the run of the whole place, including a fully equipped kitchen, comfortable lounge and a sunny terrace on the top floor. The French owners, Pascal and Béatrice, are rarely around, and the place is efficiently overseen by a local Turk, Rahmi, and his friendly wife, Gulumser. But relaxing in this comfortable house is just half the story, as to stay in Fener is to immerse yourself in an Istanbul that bears little resemblance to guidebook descriptions. The Verystanbul adventure begins just getting there by taxi. Even though I’d meticulously printed off both the map and Turkish instructions from the website, the driver still got utterly lost, and we found ourselves driving up and down a maze of steep, narrow backstreets, asking shopkeepers and stallholders for directions, until we finally pulled up outside. 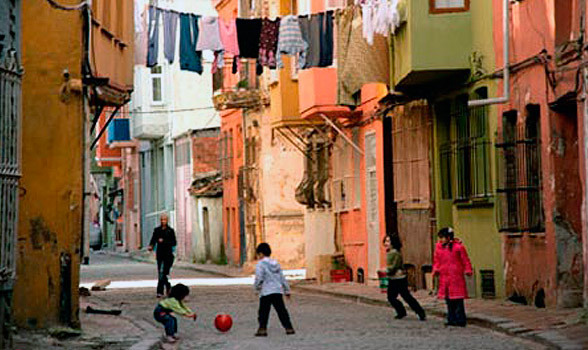 This is now a fiercely conservative Muslim neighbourhood, and first impressions produce a serious dose of culture shock: while several buildings have been carefully renovated – Fener was recently declared a Unesco world heritage site – the rest resemble crumbling ruins. The street is teeming with people, kids playing football, veiled housewives collecting scrapwood for heating, men sitting round a brazier brewing a pot of tea, while one family that owns a TV sets it up on the pavement so neighbours can watch a soccer match. There is a queue of people snaking out of the house next door to Verystanbul, and it turns out to be a medieval-like bakery, producing the traditional simit, sesame-covered Turkish bagels, perfect for breakfast as they come straight out of the oven. Although initially we get a lot of curious looks, the locals are already used to strangely dressed foreigners trooping in and out of Pascal and Béatrice’s house, and could not be friendlier. So what at first seems intimidating turns out to be welcoming, from the Kurdish lady in the food store, who only frowns when we make the mistake of asking if she sells beer, to the helpful grocer where we stock up for a picnic of pomegranates, fresh goat’s cheese and honey, walnuts and delicious dried apricots. In the streets around Verystanbul, we discover Mekteb-i (Akcin Sok 3/A, Fener), a bohemian cafe where locals sip tiny glasses of boiling cay – Turkish tea – and an Armenian painter sets up his easel outside; Merkez Sekercisi (Leblebiciler Sok 33, Balat, +90 212 523 9334), an irresistible Aladdin’s cave selling homemade ice cream and luscious Turkish delight; and Tarihi Halic (Abdulezel Pasa Caddesi 117, Fener, +90 212 534 9414), a lively restaurant, open 24 hours a day, with a huge rooftop terrace overlooking the waters of the Golden Horn, specialising in traditional dishes like garlic soup, kokorec – tasty grilled lamb’s intestines – and the best kebabs I have ever eaten. Although all the classic tourist sights of Topkapi and the Grand Bazaar are a quick bus ride away, we decide to continue the Verystanbul experience, escape the crowds and spend the weekend exploring Fener itself, coming across little-known churches like St Mary of the Mongols, the cast-iron Bulgarian church of St Stephen, the towering red-brick Orthodox College and sumptuous Vatican-like residence of the Patriarch of Constantinople, and a hidden jewel, the Kariye Museum (Chora Church). Decorated with delicate frescoes and mosaics, this unique building mirrors Istanbul’s complex history, originally a church, then transformed into a mosque and now a secular museum.